Security University in Southern California is in two weeks! This two-day training will be valuable for all security professionals regardless of length of time in the industry. BSIS Compliance and Audit; Contracts and Legal Pitfalls; Pricing and Transitioning New Business, P and L Management and Client Rate Increases. Insurance, Safety and Compliance; BSIS Compliance and Training Records; Recruitment and Hiring, Best Employee Practices, Staffing and Termination. Security University tickets will be available until Friday, April 19th at 5:00pm. Online and on-demand Sexual Harassment Training is now available for employees and supervisors! Volume and CALSAGA-member discounts are available. 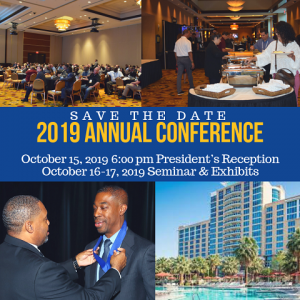 Visit the CALSAGA Annual Conference & Exhibits page for complete details.